Experience Thai cuisine like no one can take you. From hidden and untouristic street food to top notch gourmet. Cooking class that let you not just cook but get to the root of its reason. By a food artist who cook from street food to starred kitchen. Take you to the local "Appointment market" where real life scene can feed your experience. Eat and buy like local do. Sending you back to BTS Station. See and eat like no one has known from guide book. 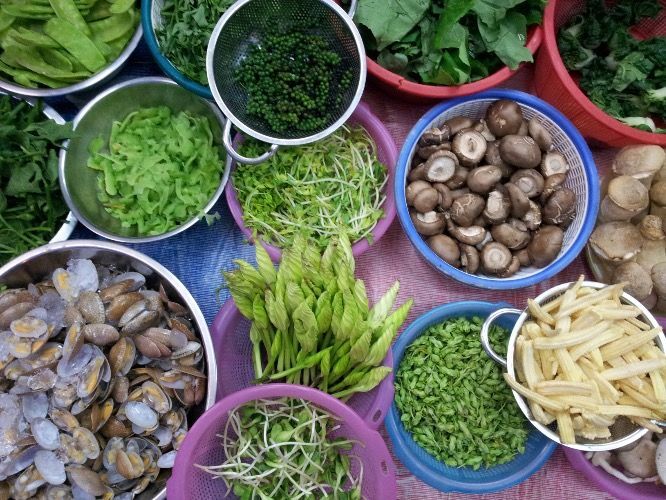 Cook Thai food with why and then from the start with real market tour. Very local as the place is normally hard to be reached by tourist without local assist. Explore the canal side community in vibrant Bangkok. With me, not only food artist who worked in Michelin starred restaurant, teached in a cooking school and run the street food stall. I love eating and will lure you to love Thai cuisine. Just come with empty stomach.